Red Eye Care , and Management. The reasons for Red Eye, are numerous. These can span from foreign body insult, bacterial, viral, fungal, parasitic infections, allergies, though to surface disease problems, angle closure attack, and systemic conditions. The reasons are varied, so the management can be tricky, and careful investigation is important. All these intrusions can cause a red eye. When should I be most concerned about a Red Eye? 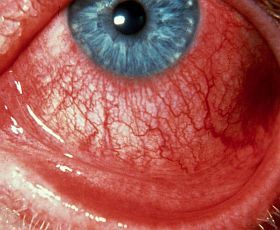 Generally when the redness is becoming worse within a 24hour period, and often but not always the vision begins to be affected. An associated sensation of pain should ring an alarm bell. Describe your presentation when booking an appointment.